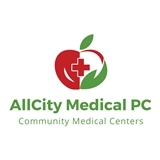 ALLCITY MEDICAL, P.C. (Brooklyn) - Book Appointment Online! It was great. He took time to explain procedures and the plan of care to increase ROM in my knee and ankle. I was car pleased with my first visit.. My only issue is I had a 9am appointment. I arrived 30 minutes early, the receptionist did not arrive until 9:30am. She was polite and thorough but that lateness takes away from positive impression for the organization. Especially since I had to wait for the the receptionist to fill out new patient. My recommendations is that they have clipboards available for you to fill out while you wait......I truly know that emergencies can happen to make someone late...Despite this incident....I definitely would recommend this provider. HE WAS EXCELLENT!! The office staff was friendly and courteous. They do a good job of making you feel comfortable. The wait to see the doctor was a bit long. I showed up 15 minutes early but wasn't seen for about 15 minutes past my scheduled time. I was told it was because it took long to verify my insurance. The doctor herself was very to the point, not a lot of small talk (seemed like just another patient to her). Overall, my visit was about as good as you can ask for in a doctors office. I would recommend them for the staff.